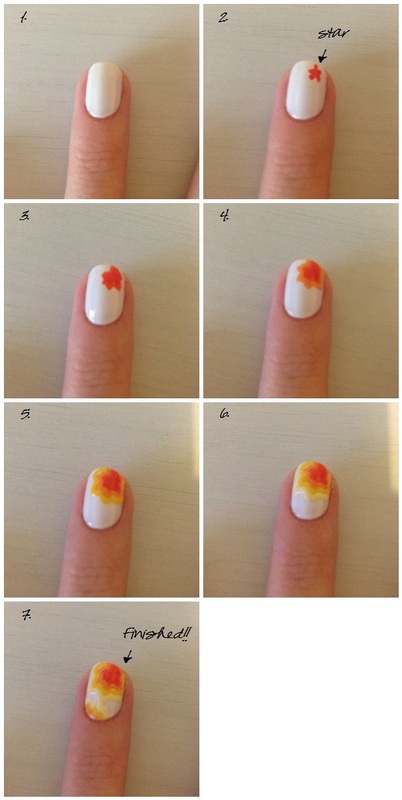 Lippy Lucie: ColorSplash Nails Tutorial..
1. Paint your nails with 2 coats of white polish, let them fully dry 2. Take your first colour and paint a little star shape in the top right corner of your nail 3. With your next colour outline the star you have just drawn 4, 5 and 6. Continue outlining your last star with the different colours 7. If you still have a lot of white polish showing add another part of a star to the bottom of your nail so most of your nail is coloured, finish with a coat of Seche Vite! I would love this look on my nails!